The hit Broadway musical How to Succeed in Business Without Really Trying about an ambitious window cleaner won the 2011 best musical revival Tony. 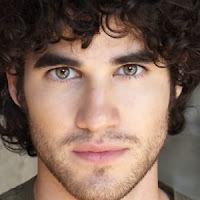 It opened at the Al Hirschfeld Theatre in March and currently stars Daniel Radcliffe (aka Harry Potter) who is due to leave on the show on 1st January when the lead role will be taken over by Darren Criss who plays Blaine Anderson (leader of all-male singing group The Warblers) in the Glee TV show. Criss will make his Broadway debut in the show playing J Pierrepont Finch from 3rd to 22nd January. .Radcliffe will next be seen on the big screen in The Woman in Black thriller which due for release next February.